Suede with Raised Foil adds a flash of brilliance! The combination of raised foil contrasted with the velvety smooth suede foundation creates a tactile experience you can see and feel. With the 1.5 mil scuff resistant laminate, you get a 19pt thick card.Other sizes available, just ask! 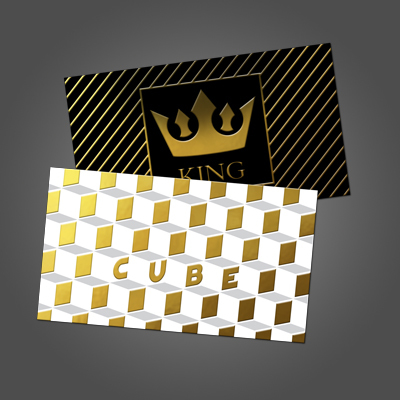 Choose from Silver, Gold or Holographic Foil.